Tea retail startup Chai Thela has raised Rs 1.5 crore ($218,000) in seed funding from early-stage investment firm Quarizon. The Noida-based company will use the capital mainly to hire staff and upgrade technology. Chai Thela, which was launched in 2014 by Pankaj Judge, offers 30 different varieties of tea and 25 types of snacks. The company runs nine outlets in Delhi-NCR and sells tea at a starting price of Rs 10. “Quarizon understands scale, strategy and has the right approach for growth,” Judge said in a statement. Quarizon chairman Aditya Gupta will join Chai Thela’s board as part of the deal. “Chai Thela is creating a separate market within the unorganised segment by providing made-to-order tea at an affordable price point,” said Gupta. This is Quarizon’s second investment this month after it backed Mumbai-based product photography startup Pictor. New Delhi-based Quarizon invests in early to growth stages of startups targeted at the business-to-business-to-consumer segment as also ventures in sectors including vocational education and edu-tech, tech-enabled problem solutions, IT/ITeS business enablers, clean-tech and Internet of Things. It had invested in OurInitiative Media Pvt Ltd, an out-of-home media company, in April this year. In October, it invested in BeatRoute, a mobile-based platform that helps consumer goods and consumer durables companies with last-mile sales operations. 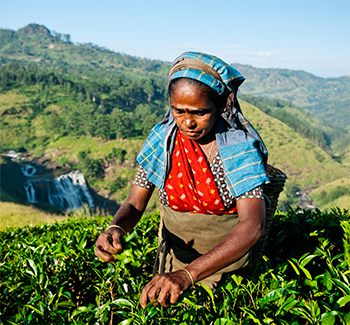 Chai Thela competes with a bunch of new-age tea retail startups such as Chai Point, Chaayos and Tea Trails that aim to change the way the popular beverage is consumed in India, the world's second-largest grower and biggest consumer of tea. Several of them have raised funding in the past. Bangalore-based Mountain Trail Foods Pvt Ltd, the company that operates the Chai Point network of tea stores, had raised $10 million led by Eight Roads Ventures (formerly Fidelity Growth Partners) in September last year. Sunshine Tea House Pvt. Ltd, which runs a tea chain in Delhi-NCR under the Chaayos brand, had raised $5 million in its Series A round of investment led by Tiger Global last year.